In his introduction to Citizens: A Chronicle of the French Revolution, historian Simon Schama makes a strong argument that history cannot be understood only in structural terms along the broad axes of wealth and power. While these play a part, he argues, history is also made by individuals making decisions in particular contexts for particular reasons. Members of the South African Parliament are likely to face what could be a defining moment for the course of their country but also affect the global history of human rights and justice in the near future. The High Court in Pretoria has ruled that President Jacob Zuma’s attempt to withdraw South Africa from the Rome Statute of the International Criminal Court (ICC) was unconstitutional and invalid. In practice President Zuma will need parliamentary approval if he wants to pursue this path. Looking at parliamentary arithmetic, it is likely that he will be successful. President Zuma’s reasons for withdrawing from the court included that its membership impeded South Africa’s role as a regional actor and conflict mediator. This is a difficult argument to sustain. 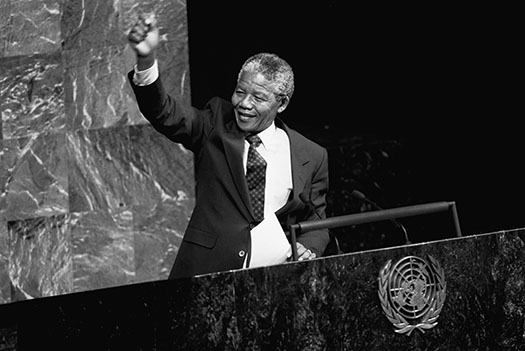 On July 17, 1998, President Nelson Mandela authorized the ratification of the Rome Statute, thereby making South Africa the 23rd state to become a member of the ICC. Eighteen months later he accepted the role as peace mediator in Burundi in negotiations that led in due course to a power-sharing agreement in November 2001. Mandela clearly saw both the ICC and South Africa’s positive force for regional peace as entirely compatible ideas. President Thabo Mbeki played a significant role in negotiations in Liberia (successfully) and Côte d’Ivoire (less so). While he has argued that peace ought to be the priority in conflict situations, he does not argue that justice should not be done. For him it is a question of when and how. Former Liberian President Charles Taylor was indeed convicted by an international court, the Special Court for Sierra Leone, for his crimes in that country’s civil war. In Côte d’Ivoire there remains political instability and occasional tension, but the ICC has not been a roadblock to the strong economic growth of the country. Mbeki, whatever his misgivings, has played a significant role in showing that justice and peace, while complex, can work together and that South Africa can play an important role in that happening. The second argument that has been put forward is that the court has shown itself “not fit for purpose”. It is hard to know what this refers to specifically. It may be a criticism that it has not done enough to combat impunity, but it seems more likely that it relates to criticisms that the court is disproportionately focused on African countries and, as such, exhibits neo-colonialist tendencies. Recent diplomatic activity demonstrates that this is far from a straightforward issue. The African Union’s resolution on “collective withdrawal” from the ICC was more of a political message than a plan of action. It is a message that should be taken seriously, of course, but it is a nuanced message. Many AU states, large and small, made reservations to the resolution, while many others have been significant advocates in favor of the court. They are not uncritical supporters but they believe the court, echoing Gambia’s new president, Adama Barrow, is a force for good and needs support, more than opposition. In short, it is not at all a uniform view in the African Union that the ICC is not fit for purpose or that it is truly a neo-colonialist institution. At this historic moment facing the South Africa Parliament, it is worth remembering the great hope that marked the ICC’s emergence. It was a decade when countries were liberated from the shackles of totalitarianism and Apartheid. It was the period when many believed in the prospect of progress and development based on values of justice and the rule of law. No country embodied that hope and that reality more powerfully and more inspiringly than South Africa. By being one of the first states to ratify the Rome Statute it signified its commitment to justice and the rule of law on the national and international plane. South Africa was a beacon of internationalism based on justice and dignity for all. These were not the values of the West. Or the North. These were South Africa’s values as much as anyone’s. South Africa’s parliamentarians have a date with destiny. They will have to choose between swimming with the current of destruction, which seeks to sweep away 70 years of work to build an international order that aspires to ensure dignity for all. Or swimming against that tide and harnessing the energy that inspired the world to bend the arc of justice 25 years ago. Mandela was no naïf. He knew that South Africa’s struggle would be long and hard, and he saw the myriad hypocrisies and imperfections of the world and its institutions. Was the answer to retreat? No. The answer was to shape and to inspire. This is the moment for vision and genius, not the tired tropes of fear. That is precisely the role South Africa’s Parliament must demand of itself and of its president. These are ominous times. South Africa’s Parliament can help to tip the scales back in favor of justice and dignity. This op-ed was previously published by Daily Maverick.